A disaster like a fire can leave you feeling helpless. 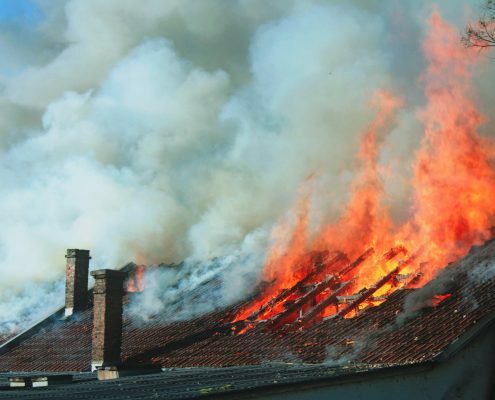 Once the firefighters extinguish the blaze, a rapid response is required to repair and restore your home to cause the least amount of disruption. After a fire, we work with your insurance company to see how much of your home can be salvaged or will need to be completely rebuilt. We’ll work with insurance adjusters to help get your claim resolved quickly. Whether your home has been affected by bad plumbing or a natural disaster, our professional contractors will rebuild a large portion or all of your property with the staff and equipment in place to handle every need and restore your Maryland property as quickly as possible. With nearly two decades of experience in the home building, remodeling and construction industry, our team will make your existing space inhabitable again on time and on budget. Don’t hesitate to call us night or day, we’re on standby 24 hours a day to take care of your emergency. Our team of experts will be there fast, with everything needed to get your property back to normal in no time. Give us a call now for a fast response from the pros who care. Thomasville Homes is locally owned and operated so we’re already close by and ready to respond immediately when you need us. Our board-up services will close the gap in your structure providing the protection you need until the property can be fully repaired. We have a team that specializes in boarding up and securing damaged properties so that you can trust your home is in good hands!